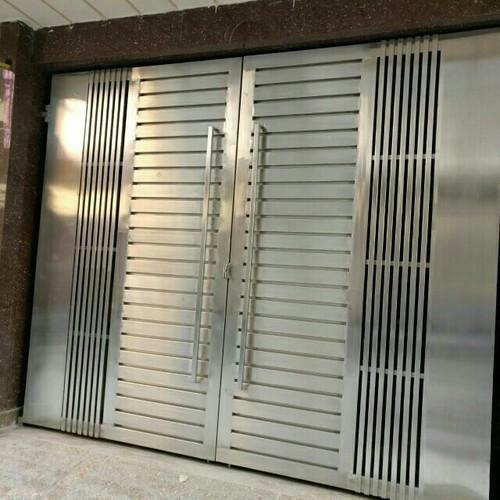 We are engaged in Manufacturing, Exporting and Wholesaler supreme quality Stainless Steel Designer Gate, Stainless Steel Front Gate and many more. We are manufacturing, exporting, supplying, and trading breath-taking range of Stainless Steel Main Gate, Stainless Steel Grill, Stainless Steel Staircase Railing, Stainless Steel Balcony Railing, Stainless Steel Name & Letter Plate, Stainless Steel Furniture, Stainless Steel Swimming Pool Railing etc. and many more items. We are proud to be associated with reputable vendors of the domain for supply of the top-class quality raw materials.